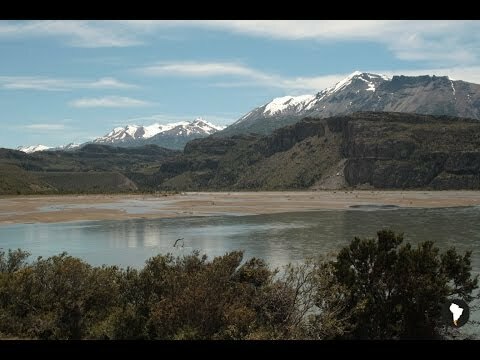 Undescover Patagonia - Play in the mud with the Artisans of Puerto Ibáñez! Activity Type: “Hands-on” tour of the ceramics workshops in Puerto Ingeniero Ibañéz. Distance: Approximately 2 km, depending on your chosen route. Duration: 1 hour 30 minutes, approximately. Special Considerations: The majority of shops and workshops close between 13:00 - 16:00 hours for lunch. Father Antonio Ronchi is an integral person in the history of Aysén, with a legacy of helping local communities that stretches the entire length and width of the region. Puerto Ingeniero Ibañéz is no exception. In the 1970s, he worked with the women of this tiny pueblo to establish a new vocation that could contribute to the livelihood of their families. The group decided to develop a local pottery that would use materials from the natural environment. 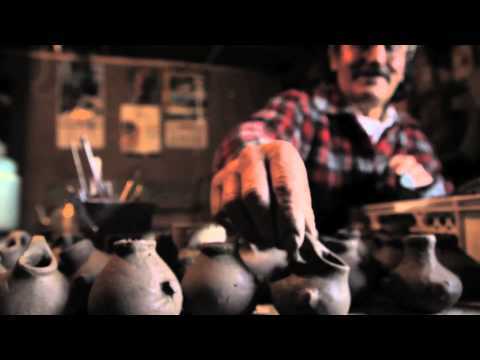 As they progressed with their art, they looked for new inspirations and Father Ronchi came to their assistance by bringing a renowned craftsman and designer, Pedro Isla, from Chillan, to help them create designs for their now famous pottery. During Don Pedro’s time in the community, the group defined their art’s character: decorative clay pieces called cacharros, which represent ancient urns and water pitchers. Don Pedro helped them incorporate additional local inspiration in their art, through the symbols from the ancient Tehuelches who roamed these valleys thousands of years ago, and the incorporation of skins from the goats raised in the area, to decorate the bases of the pieces. There are six cachorros in the “traditional collection” of Puerto Ibáñez: 1) the Caiquen Echado, 2) the Boleadora Criolla, 3) the Epulonco, 4) the Moyino, 5) the Caiquen Parado, and 6) the Boleadora Tehuelche. Today, more than 25 years later, this traditional collection continues to be extremely popular and sought after, but the artisans of Puerto Ibañéz (which now include both women and men), have not rested on their laurels; they continue to innovate, with new molds and works, that are more modern and utilitarian, such as dinnerware and crockery, which incorporate the traditional designs but are coated with enamels and glazes for easy cleaning. As you drive through Puerto Ibañéz along the main street, Father Antonio Ronchi Avenue, you’ll notice a large wooden sign displaying the location of many of the artisan workshops. You can walk the circuit between workshops and get to know the artists, who love to share their passion for their work and their latest creations. You can get a close-up view of the process of creating these handcrafts and even participate in part of the process, if you’d like. They will be happy to have you accompany them to the Levicán Peninsula, where they collect the clay and then return to their workshops to transform the raw material into the creamy mud that is used to fill the molds. You can also paint the design on your very own cacharro and then return later to collect your original work of art. Artesanía Gladys (Diego Portales 453; Facebook: Artesania Gladys) Señora Gladys Alarcón has the fortitude and determination to load huge bags of clay, tan leather with her own hands, and measure out the exact lengths required for the manufacturing of her delicate cacharritos. Her talents with these pieces and her innovations with utilitarian ceramics have led to her being invited to conduct workshops in the Cultural Center of the Moneda in the Chilean capital. Taller Arte Mano (Luis Bolados 161) Señora Albertina “Betty” Chacano specializes in utilitarian and decorative ceramics in her workshop and learned from the masters, Pedro Isla and Bernardo Kelly. Her cacharritos are impeccable and the beauty and originality of her dishes, ceramic glasses and vases, is equally impressive, each authentic works of art that can be used in everyday life. Taller Las Manos (Luis Bolados 485; Hours: Monday – Saturday from 10:00 to 18:00; (09) 83668888; Facebook: Taller Las Manos de Marfa Aguila.) In the workshop of Señora Marfa Águila and Don Joel Vargas, you can see the entire artistic process for creating ceramics from beginning to end: preparation of the clay, filling of the molds, drying, painting, leather tanning and attachment. Joel was one of the first men in town to become an artisan in ceramics; today he and his wife focus full-time on their art, which has provided the means for affording higher education for their children. Joel has the same passion and mastery for his art as Marfa and is a great story-teller; together they are great teachers that will help you create your one-of-a-kind memory and souvenir. Artesanía Marina (Carlos Soza 246) This is the workshop of Señora Eva Carrillo, a recognized local artisan who shares the teachings of her master, Pedro Isla, in the stories she recounts with visitors. Eva has represented the town of Puerto Ibáñez in national and international fairs. Taller Nuestra Señora del Trabajo (Padre Antonio Ronchi 359) Founded by Father Ronchi, this workshop was created with the lofty goal of increasing the household income for the 50 members who were involved in the original group. Today there are six women in charge of the workshop; in addition to pottery, they also offer beautiful leather and wool pieces. Play in the mud with the Artisans of Puerto IbÃ¡Ã±ez!